It&apos;s rare that we have a Sunday without a Todd Gurley highlight these days. On Oct. 11, he flipped defensive madman Clay Matthews on his head. Last week, he burned the 49ers and went untouched for a 71-yard touchdown run. 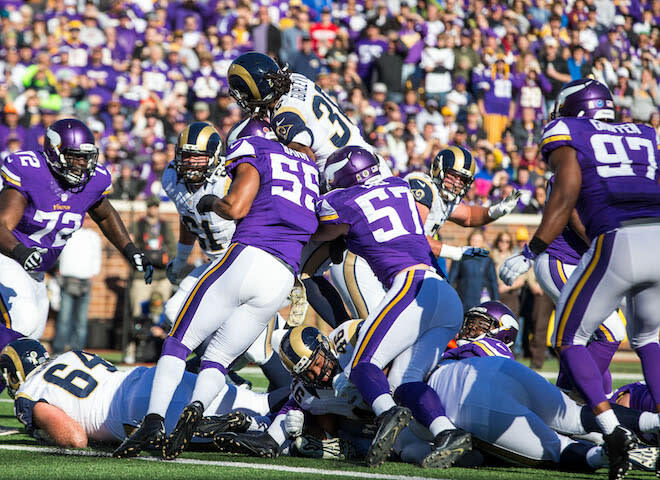 Today against the Vikings, Gurley gave one of the season&apos;s best display of will and power at the goal line. Gurley regresses veteran defenders into prepubescence. That&apos;s a Rookie of the Year ability at the very least.